We never imagined the Mogodorians could turn one of our own against us. We were fools for trusting Five. And now Eight is lost forever. I would do anything to bring him back, but that’s impossible. Instead I will do whatever it takes to destroy every last one of them. I’ve spent my entire life hiding from them, and they’ve stolen everything away from me. But that stops now. We’re going to take the battle to them. We have a new ally who knows their weakness. And I finally have the power to fight back. Good Morninngg…! 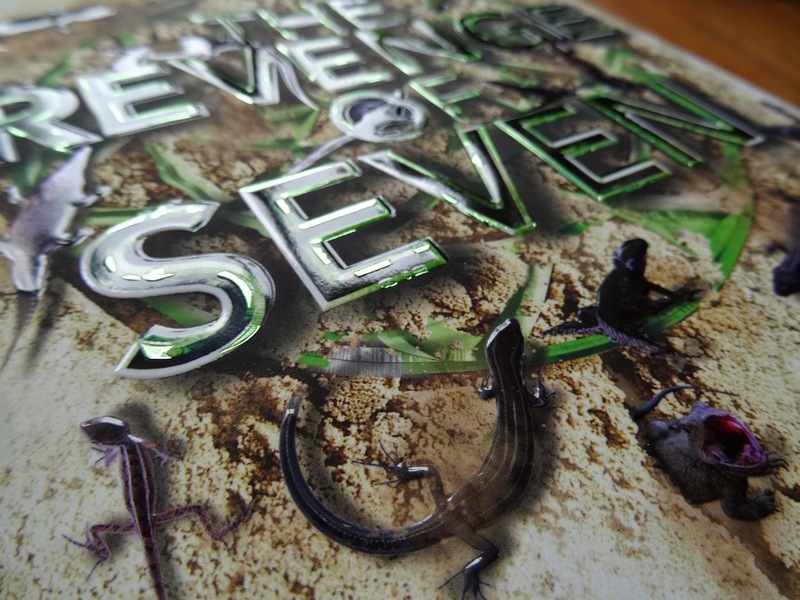 It’s 28 August 2014, 2 days have passed from The Revenge of Seven release date but until now, I haven’t read the book yet and it starts driving me crazy. Okay, as usual let’s do speculation. It is better than screaming for nothing, isn’t it? The Revenge of Seven. I could say it is a cool title, initially I said “Revenge against who?” and then it is obvious, since it’s Seven and then it’s against Five. So, in this 5th book of The Lorien Legacy, we will get into Marina’s head. Yeah, I’ve told you that Four, Six and Nine’s powers are deadly and fast while Marina’s power is the opposite, slow but important like her healing, breathing underwater and be able to see in the dark. However, in this book, she will have new legacy which is, according to the buzz, very powerful. In other words, she is not only staying in the back and waiting but she is going to be one of those who lead. Pretty cool huh? Meanwhile, in Chicago John makes the unlikeliest of allies; Adam, the Mogadorian. Yeah, lots don’t trust him but I do and he is going to be the key for The Garde to defeat the mogs, he knows everything about Mogadorian, from their weakness, their battle strategy, technology and perhaps the toothpaste brand they use. In sum, Adam is awesome. Unfortunately, he and John should learn that perhaps everything is already too late? Wooaa… it can’t be good, right? But it’s John, though he is hot (well, at least I think he is hot, hotter than Alex Pettyfer), he is also one of the deadliest alien ever live on earth, so with Adam in his side, everything is just going to be ok. Let’s hope. How about Ella? This little girl is the one I cannot imagine where her story is going in the end. Though somehow, she is much more valuable to the enemy alive (though I still don’t know what that is valuable to them) but I have a really bad feeling that she is actually the one who cannot make it. Sad? I know. But, once again it is only my speculation. One more important thing is, as usual, they are going to be broken and divided again, but they are no longer helpless. They will not be defeated now or ever. Yay, I need The Revenge of Seven download link, like right now. Usually, I am the one who do the share but right now I’m as desperate as everyone else. I have ordered the book, but since I’m living in the middle of nowhere with only the sight of Forbidden Forest and River Styx next to my house, so I have to wait like 12 up to 20 days for the book to arrive. Yeah, I would have been dragged to asylum by then just because I cannot wait any longer to read the series. I have new hobby; whenever I check on my Xperia in the morning, the first website I visit is GoodReads and click the recommendations book. Yesterday, I found a book entitled A Match Made in High School by Kristin Walker, interesting book title which earned good reviews. Though I haven’t read it but I have put it in my ePub list to read in my Sony Xperia, once I finished reading City of Heavenly Fire and Divergent trilogy, I guess I need something light and fresh to read and novel by Kristin Walker is a good choice. This morning, I found a book entitled The Ward. I don’t know, perhaps I’m starting addicted to Dystopian novels. The funny thing is, when I was an English Literature Student, I haven’t heard anything about Dystopian novels until I read The Hunger Games, however, when I was in junior high school, I have written some stuffs about a group of kids with advance self-defense who have jobs to protect the world, yeah though I’m not quite sure what should I call it or perhaps I was just watching too much Power Ranger and Ultra Men at that time. If I found Dystopian term a bit early, I think it is going to be an interesting topic for my thesis, though I don’t regret at all about the topic I chose for my thesis because Dark Humor in Harry Potter as represented by Fred and George Weasley is one of the interesting stuffs I’ve ever written, I think nobody out there who’s enjoying writing their thesis as I was enjoying writing my thesis. Back to the topic. Dystopian novels. Dystopia is the opposite of Utopia. 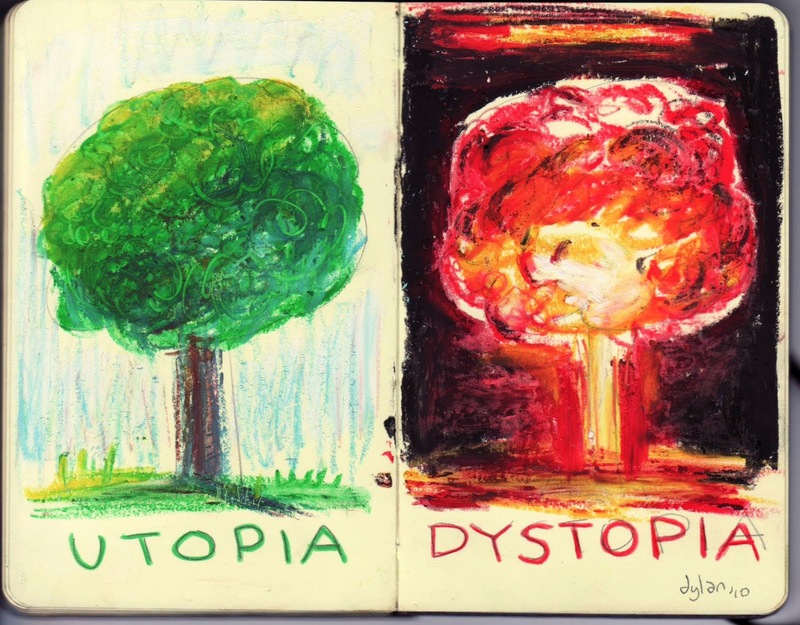 If Utopia in fiction means an ideal society and then the opposite is likely or even utterly horrible society as the effect of dehumanization, environmental disaster or totalitarian government; that’s why mostly fictions using dystopian genre taken place and time in future setting; and that’s actually the best point of dystopian novels, where as the authors are using only their imagination to create a totally new world, for example is Panem and its twelve districts in The Hunger Games, Glade and its gigantic maze in The Maze Runner or the classic one like Gulliver’s Travels where you could find a place where Lilliputs live or a place called Brobdingnag where the giants live and so on. After Harry Potter that introduced us to the new world called magic and then Twilight to the new era of Vampire story, I could say that The Hunger Games has a big role in bringing dystopia term into popular circle; though the genre is already there since Gulliver’s Travels published in 18th century but to my personal opinion, The Hunger Games is the key to all dystopian novels, because whenever there is new dystopian novels, critics prefer stated is as the next The Hunger Games if the story is worth reading or stated is as just another dystopian novels. For the origin of the etymology, dystopia derived from the Greek words topos (τόπος) which means ‘place’ and then combined with word from Ancient Greek δυσ- which means ‘bad’ or ‘hard’. Right now, the term of dystopia is widely known as one of the fiction genres; once again thanks to The Hunger Games, but do you know when exactly this genre is used for the first time? According to Oxford English Dictionary (red: my bible) the term dystopian once used by John Stuart Mill in his statement regarding Government’s Irish land policy, he stated “It is, perhaps, too complimentary to call them Utopians, they ought rather to be called dys-topians, or caco-topians. What is commonly called Utopian is something too good to be practicable; but what they appear to favour is too bad to be practicable”. Well, for you who are currently studying English Language and Literature, perhaps Dystopian could be one of the recommended ideas you could elaborate for your thesis aside from the Deus ex Machina which is also interesting. Actually, there is one more thing I’m interested to write regarding fiction genre, it is Steampunk. So, just wait. Harry Potter #7.5? What do you think? What Dumbledore's Army Reunites at Quidditch World Cup Final is about? I know it is a very very late post but I don’t care, I just have time to write, so I’m writing anyway. I remember the first time I read Harry Potter when I was in Junior High School around year of 2000, and then I finished reading Harry Potter the Deathly Hollows on 2007 when I was in college. See, I’ve been following Harry Potter since I was just a little girl (almost teenager) up to I was practically almost an adult, just like, well I don’t know, billion people out there who is also do the same with me. So, I think it is practically normal when I bragging everywhere here (in my office, to those people who mostly know about Harry Potter but not as freak as I am), about how happy I am when I found out there is one short article, even written by the snake-faced Rita Skeeter and published 7 years after the last book, finally out there that gives me a little leak about the present Harry Potter. I cannot remember when the last time I visit Weasleys' Wizard Wheezes in Diagon Alley, because I cannot make it, there always reminds me of Fred. So, I stop visiting anyway and I don’t know that Ron has taken his place, that’s cool, finally Ron realized that Auror is just not for him. So, here the question is? Have you read Harry Potter #7.5 in the form of article written by Rita Skeeter entitled Dumbledore’s Army Reunites at Quidditch World Cup Final? Gosh, what I should I say about this stuff. J.K. Rowling is about giving me a heart attack when I read Rita Skeeter written about the Harry’s new scar. I know I should not believe anything Rita Skeeter said, but I just couldn’t stop of wondering whether there is going to be, I don’t know new story about the Potters, perhaps not Harry, my best guess is Albus’ story after those glory years of Harry Potter and before that James Potter’s. And I should emphasize that, if there is a story, I think Teddy Lupin is going to be like a cool big brother for the Potters, as a werewolf’s offspring and inherits his mother’s ability as Metamorphmagus, and has a stunning girlfriend, he is like a younger version of Sirius Black. Ok, I know you will be thinking me as an annoying Potterhead because you read my post but you haven’t even read the article. If you are joining Pottermore you will know that the article is there, available to read for free, but like me who has forgotten my Pottermore password a long time ago, I should find alternative which I find through reading online Dumbledore’s Army Reunites at Quidditch World Cup Final in here. Usually, I do the download but since it is just a short article I prefer to read it online. One thing you should do, tell me what you think once you finished reading the article. Because I’m dying to know what others think about it. 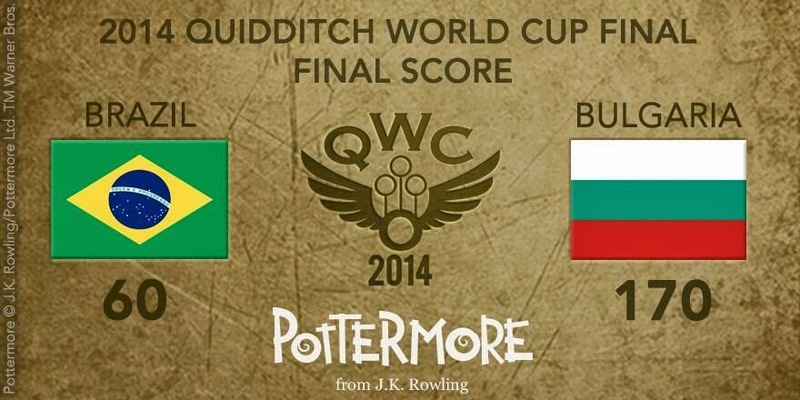 nb: New post regarding Live Coverage from Ginny Potter and Rita Skeeter of 2014 Quidditch World Cup Final which took place 11 July 2014 in Patagonia Desert, Argentina will be found here too, soon.